It's a battle that many pet parents are all too familiar with. They want to give their pup a toy that will amuse, engage and maybe even 'educate' them but, as they are heavy chewers, what seemed like a great choice becomes nothing more than a mangled mass of plastic, rubber and/or cloth within just a few hours. Squeakers are swiftly silenced and once cute critters are reduced to sad looking shreds. Understanding this frustration, a growing number of dog toy manufacturers are addressing the problem by offering super durable unbreakable dog toys that, why they are designed to stand up to the heaviest chewers - (think Pitbull, Bully etc.) also provide the hours of enjoyment that pet parents hope they will. With all of this in mind, here is a look at the top 7 best durable dog toys for heavy chewers based in both our experience and that reported by pet parents online. If a dog toy comes with a Lifetime Guarantee then the chances are that it could stand up very well to a heavy chewer, right? And according to many online reviews from pleased pet parents that is absolutely the case. 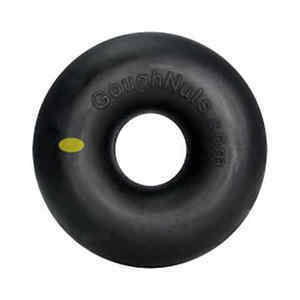 The GoughNuts Maxx 50 Extra Large looks like a sizable doughnut - as its name suggests, but it is crafted from a very durable polymer and is crafted in two layers. It measures 5 x 5 x 2.5 inches and weighs about 1.01 pound. If a pup manages to chew through the tough black, thick layer to the inner red layer the company states that the toy can be returned to be replaced with a new one for free under their Safety Guarantee. The fact is though, even the heaviest chewers have a 'problem' getting that far. Some report a single Goughnut lasting several years without the red ring ever showing. Pet parents also love this toy as it is a great catch and fetch option. This toy is our most recommended for the extreme chewers! Most pups love a good bone, but in the jaws of a heavy chewer no bone ever seems to last very long. Natural bones that would last other pups days seem to only survive for a few hours and toy bones are often destroyed even more quickly. 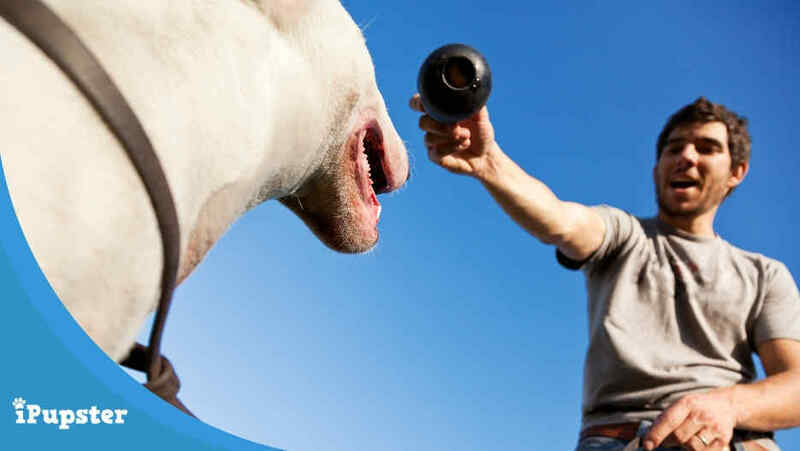 The Zogoflex Hurley is designed to provide aggressive chewers with a longer lasting, very durable bone toy that is also not too hard that it damages their teeth. And...it succeeds. The bone is not only durable but it has an easy to grip shape that is especially good for smaller heavy chewers who may struggle with other bones. However this bone is available in several different sizes so it can be matched to your pup's size with ease. This bully proof chew toy is waterproof so it can also be used a pool fetch toy and its light, small size makes it easy to transport to such outings. Pittie owner review: "My Pitti girls can chew through cement, if they want to so we pretty much assume toys won’t last long. We’ve only had these toys (the ball and the bone ones) for a week but that is 6.5 days longer than any other toy and not a scratch on them!" Keep your extreme chewer busy with the GoughNut Maxx Stick 50 made specifically for power chewers. Your dog can enjoy this toy solo, or you can play tug of war or fetch with him. It doesn't float though since it has added reinforcement, so keep it out of the water. 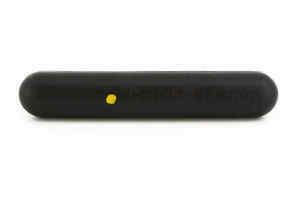 The stick comes in other sizes, but the toughest and most durable is the Maxx 50 stick which is identified by the yellow dot. This chew toy may be too large for most dogs - it is 11.5 inches in length by 2.1 inches in diameter, so it is a fairly large dog toy. If your pup is smaller, we recommend you go with one of their other Stick toys (green, orange and yellow ones). This US-made toy is made entirely from natural rubber and is recommended only for the extreme chewer. If your dog has a very powerful bite, this chew toy is a must have! Your dog will love this "indestructible" stick-type toy! Pitbull owner review: "My 70lb pit bull DESTROYS EVERYTHING in about 10-20 minutes.. and I mean everything, even those Kong toys... but this Maxx50 is truly without question the best...."
Most pups love to play ball. The problem is that there are very few balls that can survive if they are caught by a heavy chewing pup. Tennis balls are quickly shredded and even many specially designed dog balls don't stand a chance. Enter Jolly Pets Soccer Ball - the best ball chew toy for your pup! The 8" Jolly Pets Soccer Ball was designed to address that problem and allow heavy chewers to get more ball time at play time. This scented ball is crafted from Jolly Flex material that - stands up to heavy chewing well and even if it gets punctured, it will still hold its shape! Many of the positive reviews (600+) left by pet parents praise the fact that ball has provided their heavy chewing pups with hours of exciting ball play and the fact it also floats- makes it especially versatile and long lasting as well. We even ended up buying one for out two pups. It floats and bounces great and comes in various scents - orange is scented with Vanilla while the green is scented with Green Apple! German Shepherd owner review: "German shepherd chews through every toy and this one is still lasting over a year. He loves it and we were really pleased. He even chews through kong toys so this was impressive." Most pet parents are aware of the reputation that Nylabone has for being able to stand up to professional heavy chewers. This version has raised bristles - that also serve to help clean teeth and gums as a pup chews - which makes the best dental chew toy in our list. This power chewer dog toy has a chicken flavor that, according to many pet parents means that it is very easy to interest a dog in the toy initially but even when that wears off most report that their tough chewing pups still love the toy and will happily keep gnawing away for hours. The biggest benefit, of course of this power chewer dog toy, is that it lasts. There are a huge number of positive reviews from delighted pet parents reporting that this toy has lasted their pups for months when most toys are destroyed within days, even hours. Some also comment that if the toy does begin to disintegrate - which it will, no chew toy is truly "indestructible" - it breaks off cleanly, although they do caution that at that point it should probably be removed and replaced. Lab/Bullmastiff/Boxer mixed breed owner review: "Always a sceptic. I get laughed at for all the reviews I read before purchasing & usually deserving because I still get duped. Gave it another shot & WHOA....the read was worth it. The photo I submitted is 3 months later. Maya Angelou is a true power chewer. Coming in at 65 lbs, this powerhouse lab, bullmastiff, boxer was put to the test. NYLABONE is the winner.."
KONG is one of the most recognized and respected brands when it comes to dog toys. One of the best KONG dog toys for heavy chewers is the Jumbler Ball. An interactive two-in-one ball toy with a handle that also squeaks! Known for the durability of their toys in general, the Jumbler stands up to some serious sessions of playtime and is designed to be durable enough for a heavy chewer to enjoy for game after game of fetch. The handle makes it easy to pick up and throw but also to play tug of war games with your pup. Pit Mix owner review: "This is the first squeak toy my super chewer pit mix has yet to destroy. It’s soft so he can bite down on it but not so much that he can put holes in it. He plays with it every day." We couldn't complete this bestseller list of dog toys for heavy chewers without a treat dispensing chew toy. Treat dispensing toys are great for mental stimulation, puzzle-solving play, slowing down their food intake, help reduce boredom, and relieve separation anxiety for extreme chewers. We recommend KONG Extreme as the best treat-dispensing chew toy since it features their strong black rubber formula and is crafted and designed for the most extreme chewers. This chew toy can be filled with all sort of treats, veggies and fruits and guaranteed will keep your pup engaged for several hours. I prefer to fill mine with peanut butter and then freeze it overnight. But a cautionary word of advice on treats, according to VCA Animal Hospitals: "treats should never provide more than 10% of a dog’s energy/calorie intake, and a 5% target is better." The toy also bounces and floats, so it's great for exciting games of fetch or just solo play. 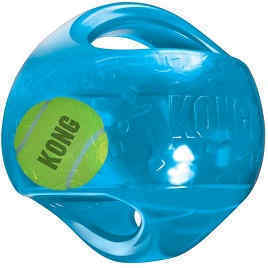 The KONG Extreme is indeed one of the most durable and unbreakable toys we have ever encountered. 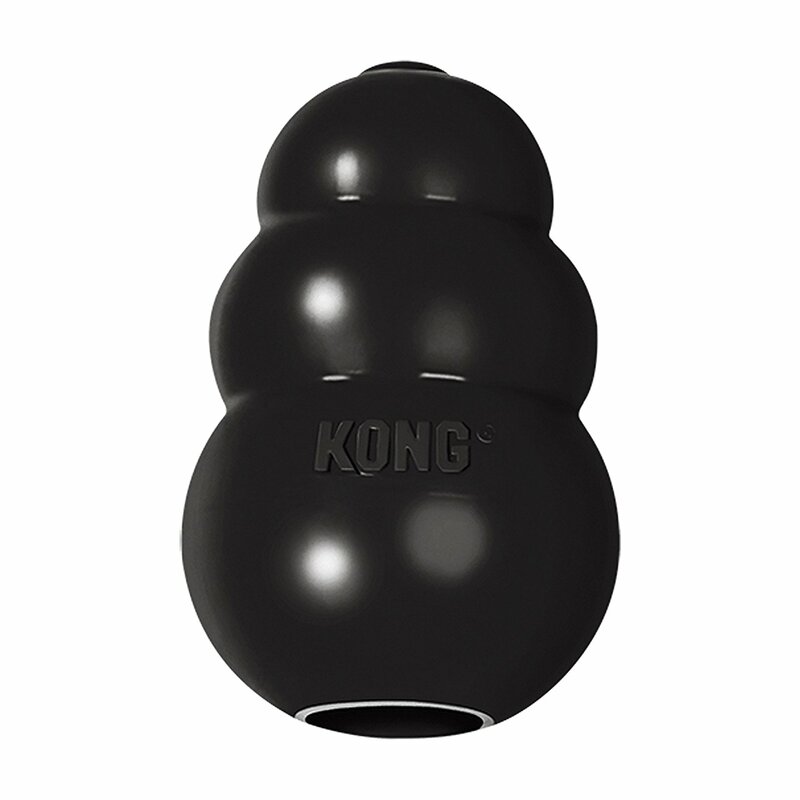 While KONG also offers a Classic and a Puppy version, this is is one for the power chewer in your family. Pitbull owner review: "I have a pit bull who can destroy just about any chew toy, even red kongs, but this black one is very heavy duty so I can feel safe letting him play with it. Sometimes I fill it with a mixture of wet and dry food and freeze it. Other times I just smear a finger full of peanut butter around the inside to give him something to keep from getting bored." The toys we have covered here are some of the best rated durable dog toys for extreme chewers, but they are, as one look at the shelves in any pet store - or a simple Internet search of online retailers will reveal - just a small sampling of the available chewer dog toys that claim to offer great durability. So what should you be looking for when shopping for a indestructible dog chew toy that is also engaging, enriching and safe? There is one simple fact that many pet parents overlook; their aggressive chewer, when destroying toys, does not actually really chew them at all. Instead they actually rip and tear at them using their powerful premolars and molars. These teeth are located towards the back of the mouth, so often toys that are harder to work that far back stand a far better choice of survival. 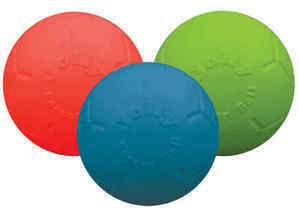 Ball shaped toys can be good choices as can 'shaped' toys that present more of a challenge to maneuver. Everyone likes a bargain, but most of the most chew dog toys on the market do tend to come with a price tag that is at least a little higher. The old adage that you get what you pay for often comes into play here though. To craft a more durable toy calls for a higher standard of both materials and basic engineering, something that will often be reflected in price. However, a higher price does not always equal superior quality so take the time to do a little research before paying a lot more for any dog toy. Most pet parents do understand that a flimsy toy can quickly become a choking hazard for a heavy chewer once they begin to destroy it, which is why it is always advisable to supervise any pup playtime. Squeaker toys can be especially dangerous, but toys that shatter when they break off can be a problem too and so any toy that is cracked, even a little bit, should be removed and inspected immediately. That is not the only thing that a pet parent should be wary of though. If a chew toy has a very strong chemical smell may indicate that they contain a number of residues that could be toxic for your pup, and so it is best to look at the materials list carefully. Reputable manufacturers usually list plenty of information about what has been used in the construction of their products and it is information you should take the time to read. You should also consider how hard the toy is. It may seem that harder is better when it comes to toys for heavy chewers, but some toys are too hard, and can damage and break teeth, something that no pet parent wants for their pup!